KAN NGU VILLAGE, Arakan State – Until fairly recently, the residents of Kan Ngu, a coastal village in southern Arakan State, had considered the mangroves in their area simply as another source of firewood and paid little attention to the shrinking forest. But then, a few years ago, international aid groups began to implement community projects that raised awareness of the mangroves’ important role in protecting the coastal environment and local attitudes quickly changed, he said. The Kan Ngu Village committee is one of dozens that have been created in communities in southern Arakan in recent years with the help of the Livelihoods and Food Security Trust Fund (LIFT). This poverty reduction donor fund supported by 12 governments launched the CLEARR project in the area in 2011 to help mangrove rehabilitation and provide agricultural and livelihood support. Mangroves have been disappearing all along Burma’s coast, mostly due to human pressures, with an estimated loss of half of the 1.6 million acres of forest between 1980 and 2007, according to Maung Maung Kyi, a co-founder of the Arakan Coastal Region Conservation Association. The densely populated Irrawaddy Delta suffered the biggest losses and only a fraction of the mangroves remain, but in southern Arakan, conservation and reforestation efforts by local communities are starting to take root. 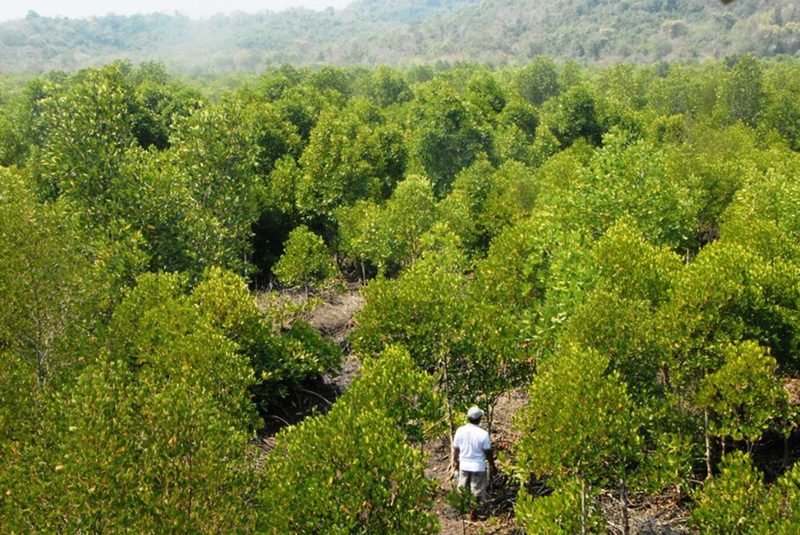 “Compared to other areas, mangrove forests in Arakan remain strong. Some of the most diverse and rare species of mangrove forests in Southeast Asia are still found there,” he said. Kyaw Win said the biggest threat to the mangroves comes from roving groups of migrating workers and loggers from the Irrawaddy Region. They have been cutting down southern Arakan’s mangroves since around 2009 to turn them into charcoal for sale in towns and cities. Maung Maung Kyi, of the Arakan Coastal Region Conservation Association, agreed more should be done from the government side to ensure better mangrove conservation. “The government needs to protect these forests from commercial activities and it should promote fuel substitution technologies” to replace charcoal making, he said.